La Jara Prosecco Frizzante is one of our favourites. 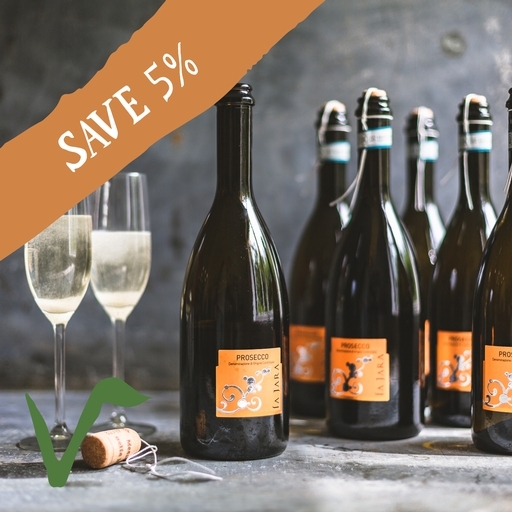 This organic prosecco is semi sparkling, light in alcohol and wonderfully fresh. It’s fruity too, with a delicate apple and raspberry flavour. Enjoy on its own or with nibbles – olives or bread and olive oil. A great one for parties. Store in a cool, dark, dry place and chill before serving. Brothers Massimo and Paolo Marion run the winery at “Piave” that's been in the same family since 1891. Although certified organic, increasingly biodynamic practices have been taken up, whilst the winery is a spotless cathedral of tiles, tanks and beams.